No more sales rack diving. No more retail clutter. Just stylish twists on women's everyday basics delivered to your door. 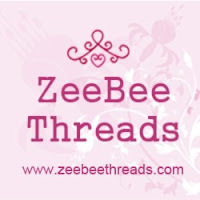 http://www.zeebeethreads.com/ ZeeBee Threads is an online clothing retailer founded with one clear objective: to provide busy women with stylish, casual clothing options at affordable prices. 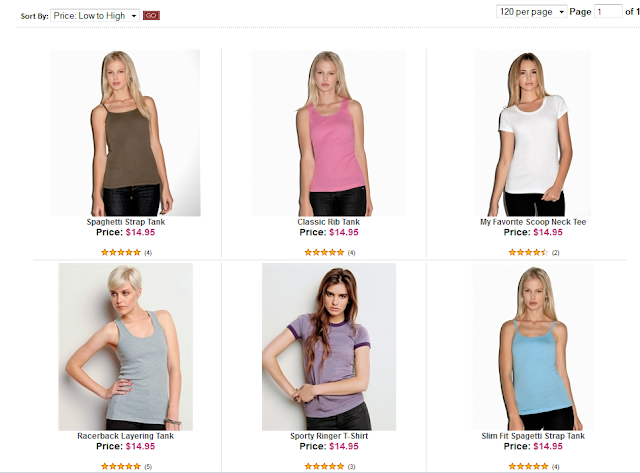 ZeeBee Threads offers fashion-forward alternatives to everyday basics for women. The handpicked selection of tank tops, tees, hoodies, pants and bags are sourced from the same factories as the highest-quality, designer merchandise, but at a fraction of the price. No item costs more than $50. Are you looking for clothing for the summer, and do you not have much $$ to spare for clothing this season, but you still want to look fashionable for less? Are you looking for affordable clothing? While searching around the internet I came across a great clothing store, that was unlike any I have ever seen before. Sure it had nice affordable clothing at great prices. The clothing is trendy and unique.... I love the ease of navigating the website. You will find the fashions that will work great for you, for very affordable prices. 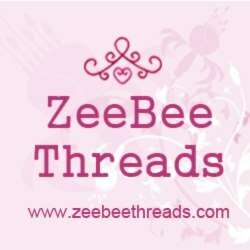 ZeeBee Threads offers a 15% discount for all new orders! So make sure to take advantage of the discount and stock up for the summer now. Clothing and other fashion accessories for $50.00 or less? I know what you are thinking, boy those clothes must be ugly or made super cheaply, the dollar store comes to mind. Have you ever purchase dollar store clothing, well I haven’t but I have seen it and it is not well made and I would be surprised if it lasted on day of wearing. I just love the tops! 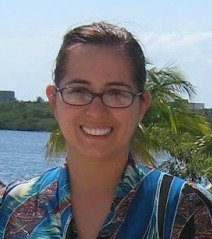 The colors are so vibrant, and yes I wore these comfortable tops and they looked like tops that cost 5X as much! They are soft, and look pretty on. This great organic tee is available in many great colors including Bark, Black, Coal, Green, Natural, Ocean, Pink ribbon and red. The organic tee is super soft, it is something you have to experience to really know how soft organic tees can be. Organic tees can be very expensive, but this tee is an affordable $20.00. 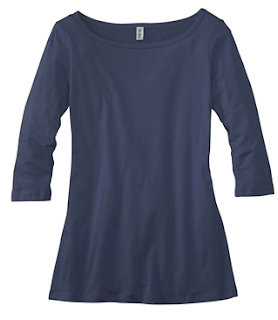 This cool boat neck ¾ sleeve tee comes in several colors, including Black, Navy, Red, Soft Pink and White. This will be a great top to wear in San Francisco, the weather is a bit cooler there than it is here in the north east and the ¾ sleeves will be great for the cooler weather. The top fit well, and looked great. I love that either top would work well with a skirt or jeans, a great addition to any wardrobe. So if you are looking for some fun clothing that is inexpensive. The offer hassle free exchanges, so if you buy something and when you get it, the item is just not you… just return it and exchange it for something that works for you, no problems. All items are under $50.00. Sizes run from small to 2XL. They offer free shipping on a purchase of $50.00 or more and all other purchase the shipping is only $5.95 . The generous folks at ZeeBee Threads are giving one of Susan’s Disney family readers a chance to win a Here's the Scoop Organic Tee a $20.00 arv. Would you like to win? Please visit the ZeeBee Threads website, take a look around the site then come back here and tell me something you love from the site. There are also other ways to enter, please enter below. You can purchase anything shown here and much more at ZeeBee Threads. One winner win a Here's the Scoop Organic Tee in your choice of color. A $20.00 arv. Disclosure: The reviews and or opinions on this blog are my own opinions . I received 2 shirts to review. No monitory compensation was received. I was not required to write a positive review. Your experience may differ. The opinions I have expressed are my own I am disclosing this in accordance with the Federal Trade Commissions 16 CFR Part 255: Guides Concerning the Use of Endorsement and Testimonials in Advertising . I'm loving the eco friendly pullover!! love the summer loving beach pullover. I really like the lightweight retro zip hoodie. Wow I just love all the stuff.These are really cool. I like their Vintage T-Shirt Dress! Thanks so much for the fantastic giveaway! I like the Show a Little Shoulder Zen Paisley Eco-Friendly Pullover. I like the Sporty Lightweight Jacket. I like the 3/4 sleeve V-neck, although I wish it came in more than 3 colors. I like the Super Soft Relaxed Lounge Pants. I love the Sporty Ringer tee!